Dr. Larry Wan invites members of Santa Monica Bay Audubon to a presentation on Sunday September 27th, 3 to6 PM at the Santa Monica Mountains Conservancy’s King Gilette Ranch. Admission is free. 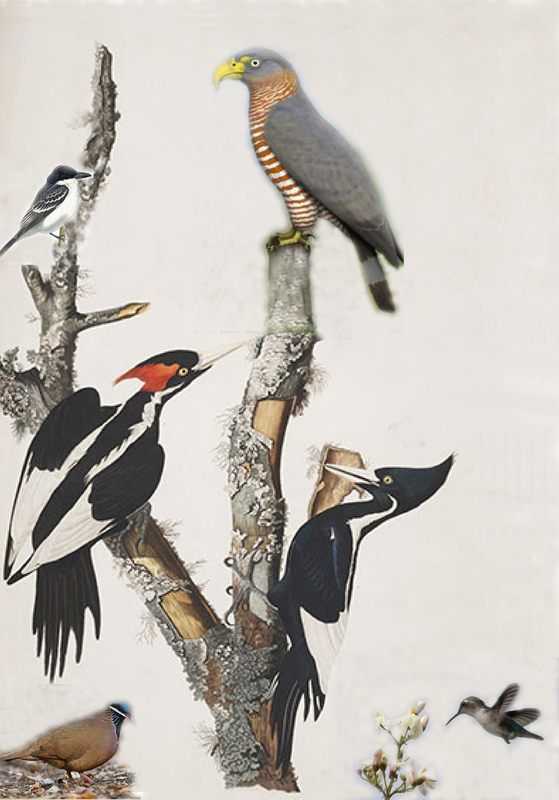 The Ivory-billed Woodpecker, has been considered extinct in the U.S. since 1938. The IBW also lived in Cuba but there it was last seen as recently as 2009, making its continued existence in Cuba more probable. In May 2012, the Western Alliance for Nature sponsored an initial exploration of an area in eastern Cuba where it was last seen. Come hear about the quite promising results and why we have been inspired to launch a series of full scale scientific expeditions. Our expeditions will also seek to gather data on the following globally threatened birds, all of which are known to occur in the localities that we plan to survey: the Critically Endangered Cuban Kite, the Endangered Giant Kingbird and the Blue-headed Quail-Dove and the Near Threatened Bee Hummingbird. Please come for a Sunday in the park and be part of history. Enjoy complimentary wine and hors d’oeuvres. RSVP to receive free parking (the park usually charges $7) to: wanlarry719@gmail.com by September 19th or call 310.999.5477. Illustrated presentations by Dr. Larry Wan, Western Alliance for Nature on the search for the Ivory-bill, and Dr. Tom Smith on the Cuban Kite.